There are a few words shouting at us in ‘free responsive WordPress blog themes’. We will start with the most imperative. A responsive website design is one that makes use of flexible layouts and images, which can change according to the reader’s screen size and orientation. In a responsive theme, the developers of the theme have repurposed the HTML code to cater to the mobile version of a website. It does sound good, but why should this be the deciding factor in choosing a theme? In 2018, the mobile internet traffic is 48.2% of the total global online traffic. Based on this figure, I think you would want to ensure that your website does not frustrate almost half of your visitors who are on their mobile devices, just because they keep having to zoom and pan the page while reading it. In the WordPress theme directory, search for ‘responsive’ and you will get hundreds or maybe even thousands of responsive themes to choose from. The theme description will also make it clear if it is responsive. 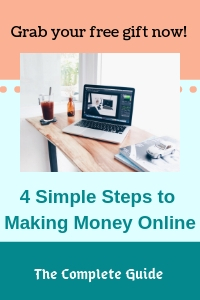 If you are just starting out building your own website, it really does not make sense to go for a paid theme right away, as you wouldn’t really know if that particular paid theme is for you until you work with it for awhile. 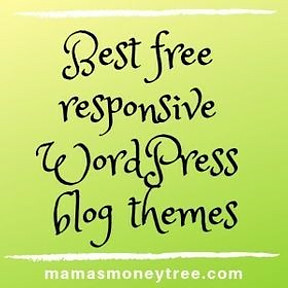 Many of the free WordPress themes are high quality and excellent to start with, they can even serve you really well for the first couple of years as you build up your business. When you are reaping some profits, and are much clearer on the direction your website will take in terms of design, layout and features, that is the time to upgrade your current theme to one with premium features, or even go for an entirely different paid theme. The point is, you have to be doing this long enough to know how you can work each theme to your advantage, and what you really want. 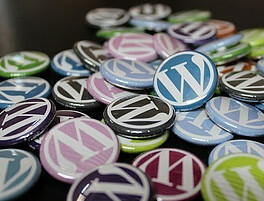 WordPress has been around since 2003, so it has the benefit of knowing its users and trends really well. Being a free platform all along, it obtains feedback from its large base of users, and has made refinements and adjustments to bring the best content management system (CMS) to us. WordPress is powerful in terms of security and search engine optimisation (SEO). There are endless resources of free themes and plugins that strive to meet your needs. Yet it is very simple to use for the beginner, not intimidating like many other CMS platforms. There are all kinds of themes in WordPress, to serve all kinds of niches from personal blog, fashion and design, photography, travel, to engineering or medical fields, and e-commerce sites. Choose anything that appeals to you, not just the blog themes. If you are a visual person, and intend to include lots of images in your blog, then go ahead to choose a photography theme or travel theme. Nobody is going to say you can only use a photography theme if your website is about that. Personally, I just find the blog themes to be very versatile and adaptable. There is also a wide variety of themes to choose from. Whether it is a personal blog, one for affiliate marketing, a professional blog, or even a commercial website, you will find some themes that are love at first sight. You do not have to overthink your website’s theme. Most of it still boils down to your personal preference. Choose a free and responsive WordPress theme that appeals to you visually, and give it a go. 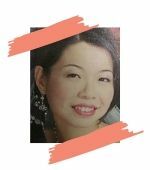 It is easy to switch themes just to try out and see how things look like, especially when your website is new and with just a few posts and pages. But do not expect a brand new website, with no content, to look like the demo copy of your selected theme. As you progress along on building up content, anytime that you feel like switching themes, just feel free to do so. But do remember to back up your website, just in case. Customisation of your website design and layout can be done through upgrading of your current theme from the free version to the paid version, if it is available, from which you get to easily change up things like page layout, font, colouring, alignment, etc. So if you really like the free theme that you are working on, then upgrading it should work out best for you. If that level of customisation is still not enough, you can go for page builders. These are handy plugins that use drag and drop methods to allow you to customise your website design and layout without having to know a single line of coding. These are usually paid plugins. Every component on your site can be edited to your liking: number of columns and rows, background, content slider, full-width images, etc. The ease of use and flexibility of page builders make them the most popular tool in creating a professional looking and unique website. Some theme developers take great care in making their themes compatible with certain page builders, so it is worthwhile to dig around to find out if there is any preferred page builder that will work the most seamlessly with your chosen theme. Even with free themes, many developers provide great support for bits of customisation here and there. They do that through the WordPress support forum for your specific theme. So hang around in there, and you will get a sensing of the level of support provided to users by the team that developed the free theme. Customisation for free themes is usually done through cascading style sheets (CSS) codes, which are simple coding provided by the developer to cater to your specific requirements, which you can then copy and paste into the ‘additional CSS’ space in your WordPress back office, under Appearance > customize > Additional CSS. When I chance upon a free theme that provides great support to its users, I know I would upgrade to its paid version when the time comes for me to change up my website design, layout and features, because I trust the team to provide quality and prompt service. Lightweight themes are able to load fast, within 2 seconds will be the optimum. The importance of fast-loading pages cannot be stressed enough, as it critically affects your SEO, and hence your rankings in search engines. Lightweight also means you are able to use the customizer to change some superficial settings, instead of having to go into heavy PHP (hypertext preprocessor) coding. With these essential factors sorted out, you’re ready to choose your favourite theme from the free responsive WordPress blog themes. Have fun in these exciting times of building up your own website!